La Casa de Los Vientos was first used as the residence of the Spanish governor of Alta California Juan Bautista Alvarado. Later, it was the first Hall of Records in the State of California for the newly formed County of Monterey. 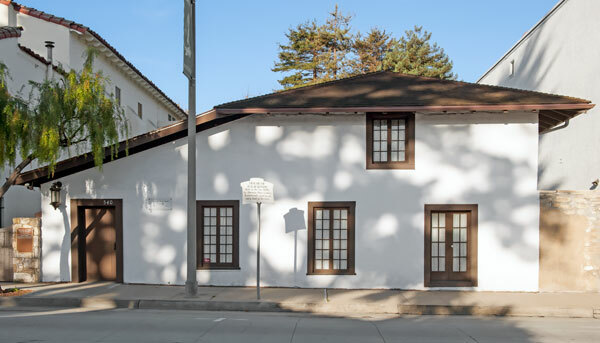 The Women's Civic Club was one of the first groups to encourage the preservation of the historic adobes of Monterey in 1906. The House of the Four Winds was purchased by the club in 1914 and transformed into their club house. This adobe is believed to be the oldest such club house in the United States. We were unable to locate a California historical marker for the House of Four Winds.